Once again I am standing in the middle of the Dom Pérignon vineyards, this time its sunny and the leaves are lime-green. A Bose sound system is playing classical music, a dozen of waiters arrive simultaneously with bottles of the newly released vintage 2008 and pour the first glasses at this grand opening. This day is meant to be the perfect champagne fairytale, but let me start at the beginning. 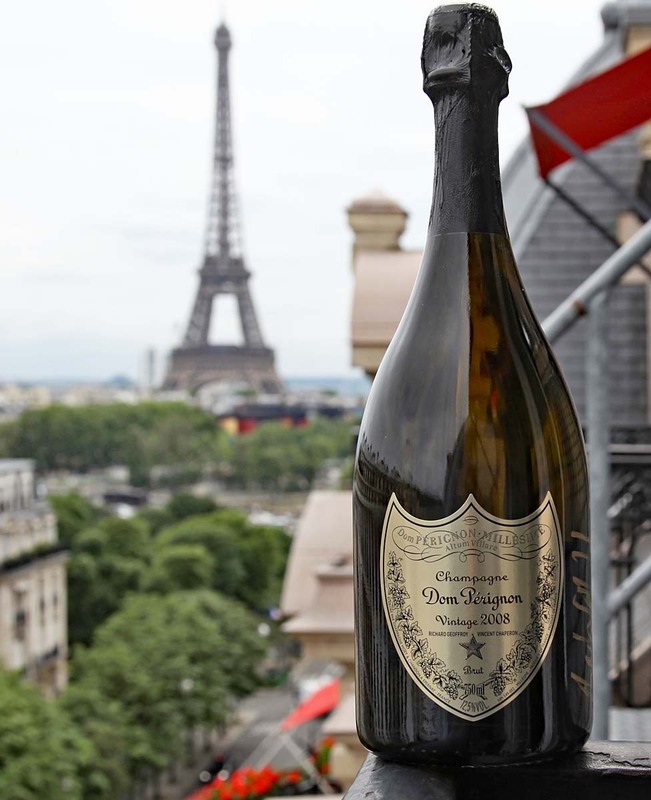 When Dom Pérignon invites, you never know what to expect, but given the fact that we were housed at the five-star Plaza Athenée in Paris, we knew there was a big celebration ahead. Unveiling of Dom Pérignon Vintage 2008 - LEGACY EDITION. Once upon a time in a land far way, bubbles were found in wine. 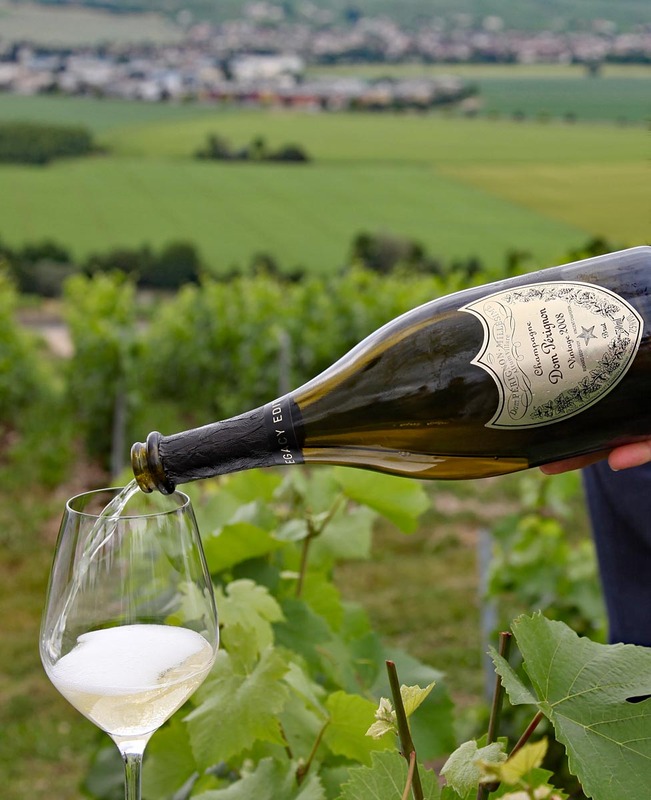 Decades later, a man named Richard Geoffroy became Chef de Caves of Dom Pérignon and it was his mission to produce the best champagne. 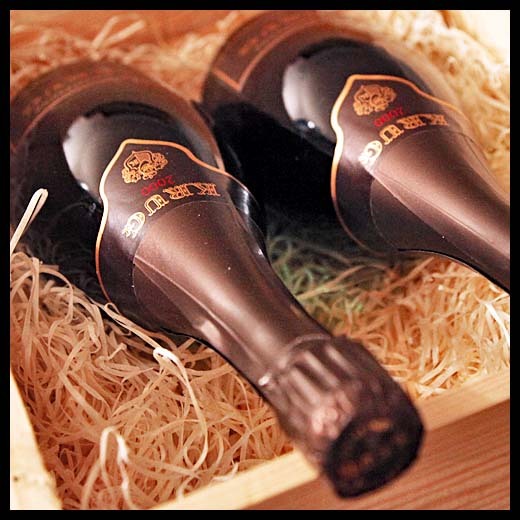 About 30 years later he had managed to build a company, that is now the synonym for luxurious bubbles and celebratory moments. It was now time for him to step down and hand over to his long-time colleague and confidant Vincent Chaperon. 120 guests flew in from all over the globe to cherish this moment together - it must have been the most emotional event for the Dom Pérignon team in a very long time. Richard Geoffroy is known to be a perfectionist, and so was the entire event. We all gathered in the lobby and were shuttled with somewhat 20 black mini busses to Hautvillers, where the champagne fairytale began. Richard Geoffroy was visibly touched by seeing so many of his friends and partners, many hugs and kisses followed until he welcomed us with a little speech and a joint walk through the vineyards. Richard Geoffroy (left) is turning over the cellar keys to Vincent Chaperon (right). The event was filled with symbolic gestures, a way in which only the French can celebrate traditions without coming off too needy. We broke bread, dipped it in olive oil and salt and ended our inauguration for Vincent Chaperon in the chapel, right next to Dom Pérignons grave. Obviously they prepared a special release for this occasion and they saved nothing but the fabulous vintage 2008 for this precious moment. They both seemed equally proud to pour this champagne, and it truly was a delight. The color was a chrome yellow, the bubbles tiny and smell salty and fruity. The first sip in the vineyards is always a treat, and even though expectations were high, the champagne still surprised with very precise aromas of typical French brioche, stone fruits, lemon and a touch of papaya. The acidity is very high and makes this champagne fresh, crisp and juicy. The finish is lovely, since it’s a very typical Dom Périgon aftertaste: creamy, salty and filled with yellow fruit. Richard calls this vintage a miracle year, in which they turned constraints into possibilities. 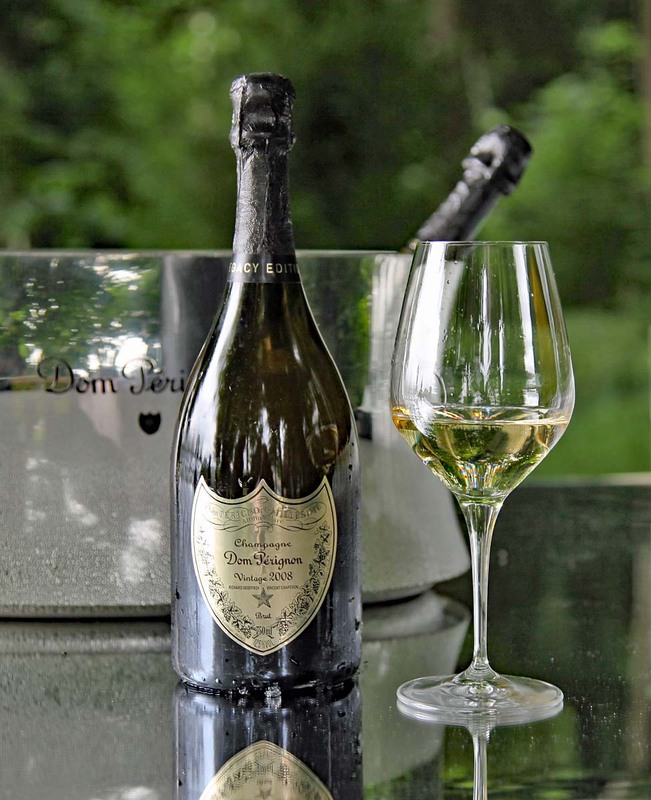 New release of Dom Pérignon Vintage 2008 - a classic Champagne vintage. We spent an entire day with tastings, a delicious barbeque was set up at several spots in the vineyards and press, collectors, restaurant owners, chefs and wine makers had the chance to meet and mingle. Three generations of Chef de Caves came together for this event, even Dominique Foulon, who had been retired for a couple of decades. We tasted a 1990, 3rd Plénitude, late discorged in 2015, which was a nice comparison to the 2008 before, because the age of the wine showed so nicely. It had more depth, the fruits tasted much riper and candid, interestingly complex with bubbles that disappeared in no time. We then tasted the 1996 P2, which I had already tried five years ago, and it was much more lively than I had remembered it, but still as creamy and tasty as ever. The color was much lighter compared to the 1990 and for my personal taste, I would prefer this champagne. To complete our tasting we were served a vintage 2005 and people centered around the abbey and enjoyed the day to the fullest. 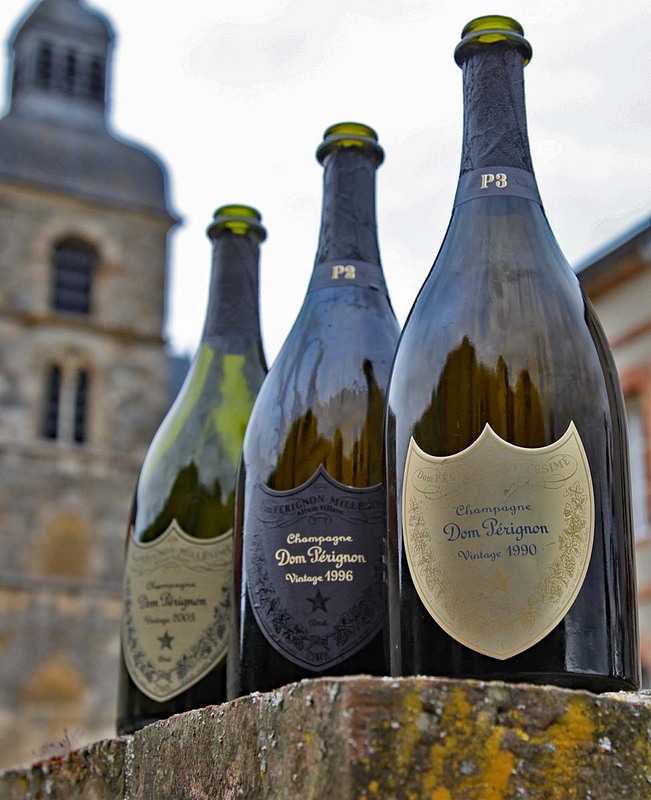 All tasted Dom Pérignon vintages: 1990 - 1996 - 2005. Back in Paris I loved the view on the Eiffel tower from my balcony and got ready for dinner, which was cooked by the world-famous chef Alain Ducasse – in cooperation with four other incredible chefs, each preparing a course. The restaurants interior design is truly unique, its chandelier alone contains 10.000 crystals, the rest of the furniture is held in gold and beige. I had the pleasure of sitting next to two food journalists, who were wildly passionate and highly educated on the subject. The crawfish was flavored with vanilla, radish was pickled in champagne and hardly anything tasted the way it looked, a complex yet interesting experience. Dom Pérignon 2008 overlooking Paris from the most beautiful spot. Along with the 13 courses we had a variety of the best wines LVMH has to offer: another glass of Dom Pérignon 2008, which was served with surprisingly spicy dishes, a vintage 2008 Château Cheval Blanc (which had the perfect dinking age, a wonderful, round nose and a pleasing finish without overwhelming the food), more Dom Pérignon 1990 P3 and a Château d’Yquem 2015, which was served frozen as a desert and as a drink – simply phenomenal! I have eaten at lots of good restaurants and definitely have drunken a good amount of fine wine, but the combination of this excellent quality, the outstanding service, the mesmerizing flower decor and the fashionable atmosphere was completely overwhelming, somehow I got lost in the beauty of it all. 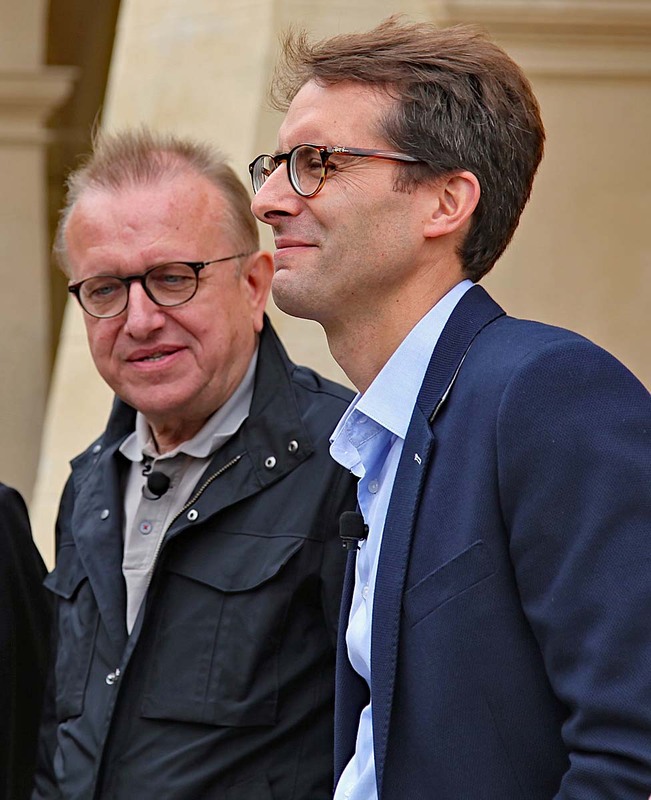 What felt like a fairytale to me for sure was one for Richard Geoffroy and ever more for Vincent Chaperon, who is now the most powerful person in the champagne industry. 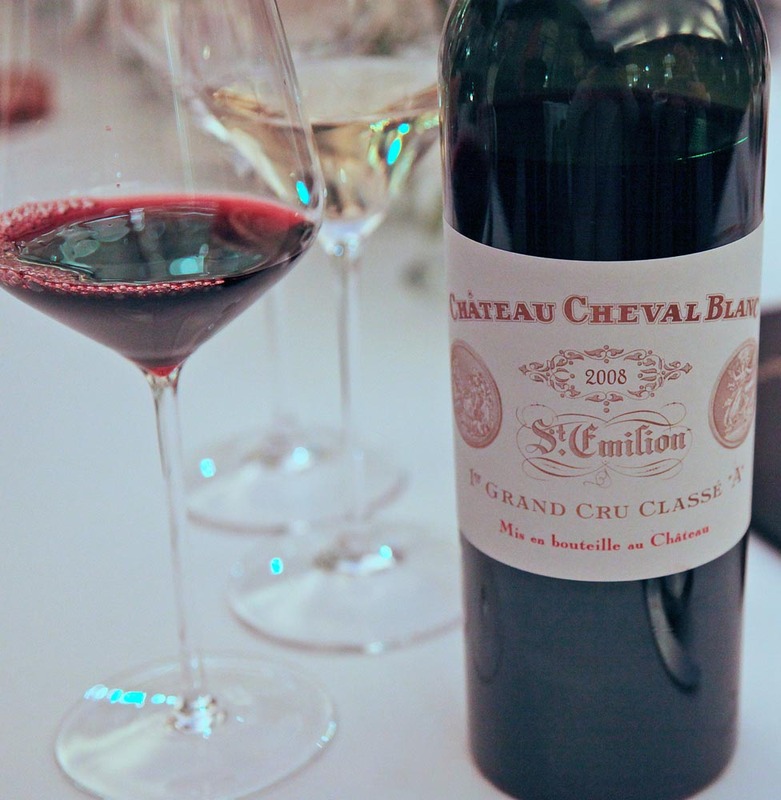 Next dinner highlight: Château Cheval Blanc 2008. Vincent has been working on Richards side for many years, he knows Dom Pérignon like the back of his hand and was naturally the next one in line to become Chef de Caves. It was wonderful to see both of them be polite to each other, it seems like they have found a great way of working together and appreciate each others knowledge and company. Vincent told us that he is originally from Bordeaux, and Richard jokingly adds that no one is perfect. When asked what he has learned from Richard, he says that he now knows that relationships are built over time. Time – a rare source in our fast moving world, but it seems to be treasured in Hautvillers. Becoming Chef de Caves of Dom Pérignon is nothing but a normal job, it is executed for almost a lifetime and is as prestigious as it gets. 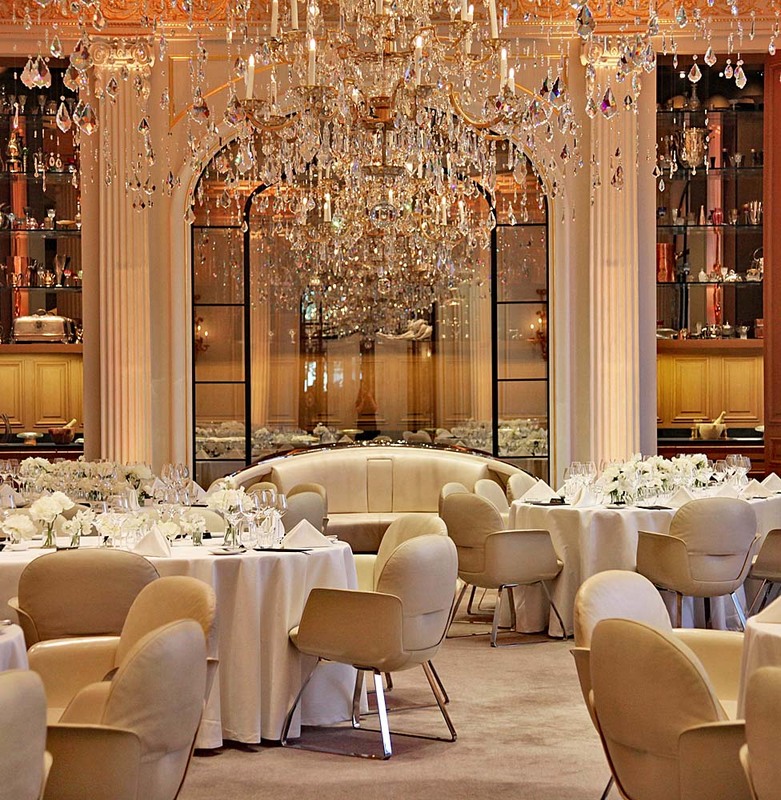 The perfect setting for a true fairytale: Alain Ducasse restaurant at Plaza Athénée. During our interview Richard claimed that he is now done with wine, but will never stop moving, otherwise his soul and body will dry out. He revealed that he will work on correspondences in Asia, I have a feeling it will be in within the gastronomy. 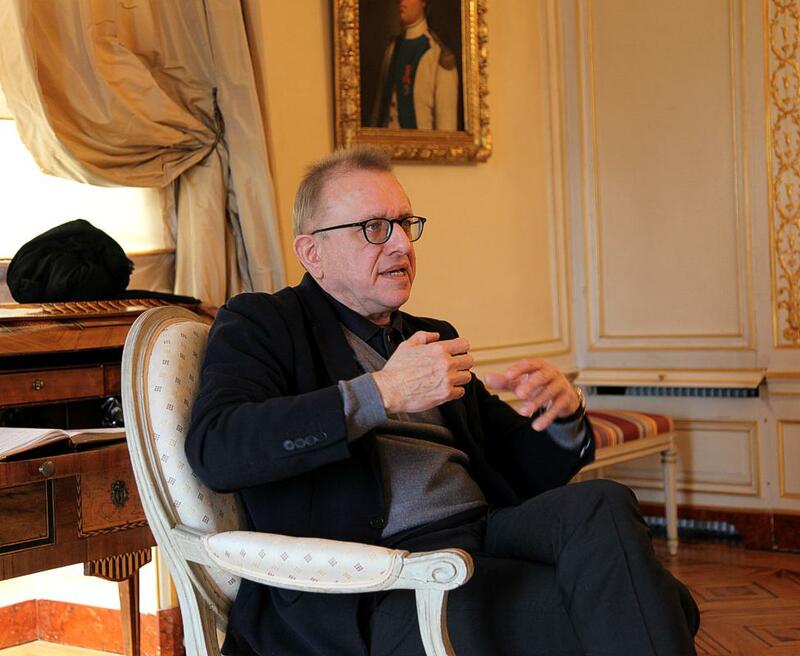 Thank you, Richard Geoffroy, for hosting us many times, Dom Pérignon will forever have your footprint and we are excited to hear about your future projects. Congratulations, Vincent Chaperon, may you live happily ever after in a champagne fairytale. Richard Geoffroy, 30 years Chef de Cave of Dom Pérignon and already a legend today. Ein Wein der Superlative: bis heute der erste und einzige 100 Punkte Wein von Pichon Lalande und einer der besten Bordeaux-Weine der letzten 50 Jahre. Der legendäre Jahrhundertjahrgang 1982 steht bis heute für den Inbegriff des großen Bordeaux. An der Grenze zwischen Pauillac und St. Julien entstanden in direkter Nachbarschaft drei Weinlegenden, die alle von Parker die berühmten 100 Punkte bekamen: Latour, Las Cases und Pichon Lalande. 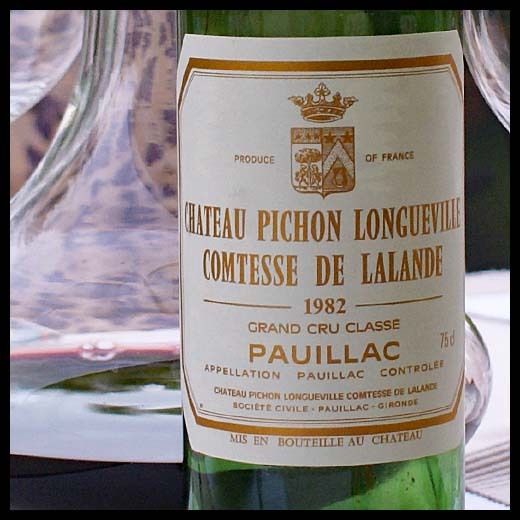 Pichon Lalande, bis dahin auch schon ein sehr respektierter 2ème Cru, wurde mit diesem Wein weltberühmt - und ist es bis heute geblieben. Nach über 30 Jahren ist dieser Wein immer noch in Topform und ein unvergessliches Trinkerlebnis. Im Hause Krug gilt die ganze Aufmerksamkeit der jahrgangslosen Grande Cuvée. Doch in ganz besonders guten Jahren produziert man auch kleine Mengen eines Jahrgangs-Champagners. 2000 war eigentlich kein ganz großes Jahr, aber einige Häuser präsentierten dennoch ganz hervorragende Champagner. So auch Krug. Der Brut Vintage 2000 überzeugte auch die "vinum"-Redaktion derart, dass sie ihn zum "Champanger des Jahres 2013" wählte. 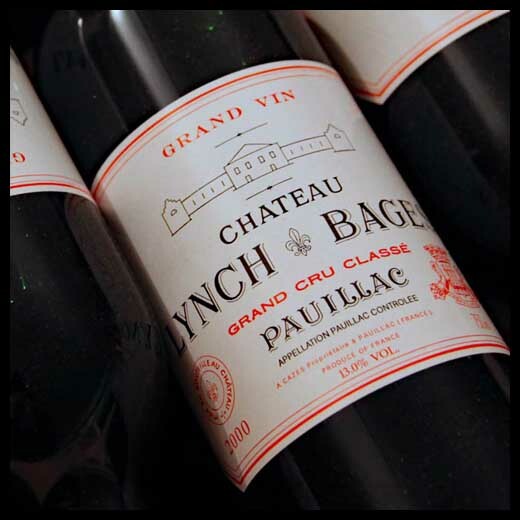 Die Weine des Château Lynch Bages sind für viele Bordeaux-Liebhaber erste Wahl. 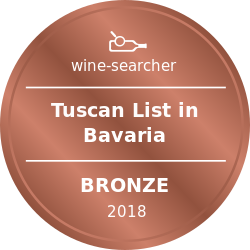 Hier bekommt man einen richtig großen, maskulinen Pauillac zu einem sehr vernünftigen Preis. Das liegt an der Einstufung als 5ème Cru, die Qualität liegt heute eher auf dem Niveau eines 2ème Cru. Der Jahrgang 2000 war in Pauillac ein Traumjahrgang, viele Weingüter haben in diesem Jahr die besten Weine seit 1990 gemacht. Auch Lynch Bages! Dieser Wein geht in die Geschichte von Lynch Bages als einer der größten Jahrgänge ein, ein Kraftpaket geladen mit Frucht und Rasse.